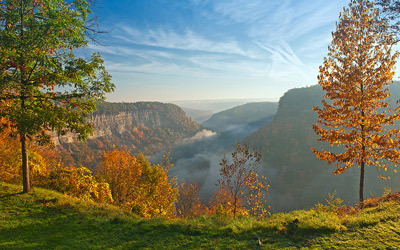 Western New York offers a variety of rivers, streams, lakes and ponds spread throughout the area. 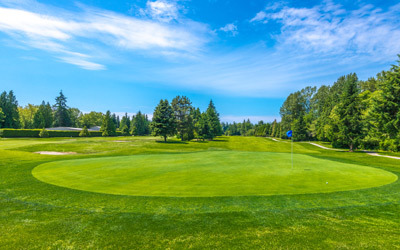 Some popular water bodies include Oneida Lake, Whitney Point Reservoir, the world famous Salmon River, Oswego River, Tioughnioga River and Chittenango Creek. These are just a few of the many water bodies found within the area. 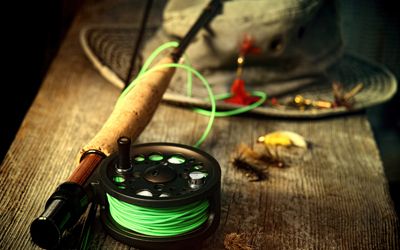 This habitat diversity provides anglers with a wide selection of fish species to choose from. Don’t feel like traveling anywhere? Mountain Meadows Campground offers three stocked lakes and two ponds for your angling enjoyment. Hiking is a great way to explore nature and to get away from things and forget about the everyday stress of life. 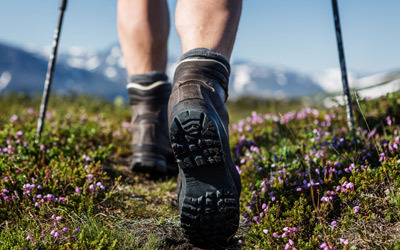 Most people enjoy hiking as it brings them back to nature. Enjoy the beautiful scenery that Mountain Meadows provides on the miles and miles of hiking trails we have. Lace up your hiking books and go exploring! Mountain Meadows Campground also offers many on-site outdoor activities for you and the family to enjoy. Whether it be using our shuffleboard courts, basketball courts (complete with night time lighting), the softball field, our horseshoe pits, or non-motorized boating, we truly offer fun the entire family can enjoy. The campground offers clean restroom and shower facilities, an in-ground swimming pool, recreation building, picnic shelter, playground, and dump station. Six Flags Great Adventure provides a diverse coaster lineup with a world-class wooden coaster and steel coaster. Adrenaline-inducing coasters dominate the park, which is a star in the Six Flags chain. 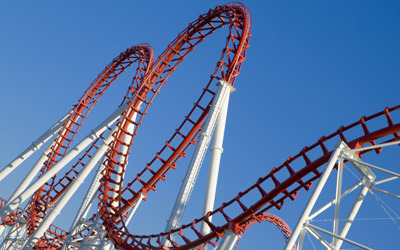 Six Flags Great Adventure is one of the must visit parks in the country for any roller coaster enthusiast. The park provides a good variety of food throughout. It also features four themed children’s areas, truly providing fun for all ages. 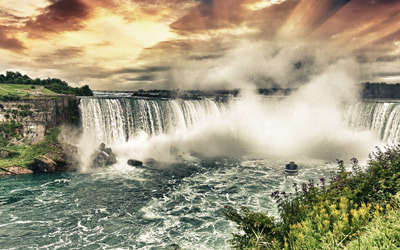 It’s not hard to understand why many consider Niagara Falls a top natural wonder of the world. Or why it has been the location of some incredible (and now illegal) daredevil antics over the years. The second you see the mammoth Niagara River rumbling toward a 170-foot waterfall at about 20 to 30 (and up to 68) miles an hour, your mouth will drop. The speed at which the river falls creates a misty fog and an unmistakable roar heard from miles away. From the top, feel the mist on your face. As you follow the water’s path downward, boats, platforms and observation decks support colorful poncho-clad visitors. 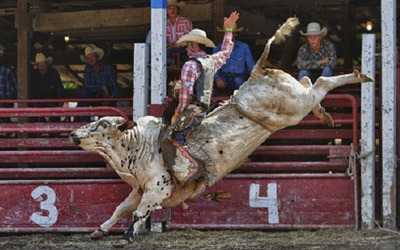 Attica Rodeo is Western NY’s premier rodeo, providing top-class rodeo action. 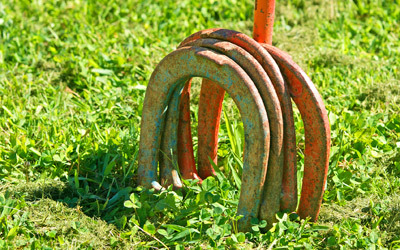 Experience calf penning, steer roping, bronco riding, team roping, barrel racing and more! Events take place all summer long at the Rodeo Events Center, with the Attica Rodeo the first weekend in August every year. Every spring, the New York State Maple Producers Association invites families from across the Empire State and neighboring areas into their “sugar houses” to learn all about the production of maple syrup and other related products. The goal during Maple Weekend is to provide an educational demonstration with a maple producer where visitors can experience many aspects of pure maple production. 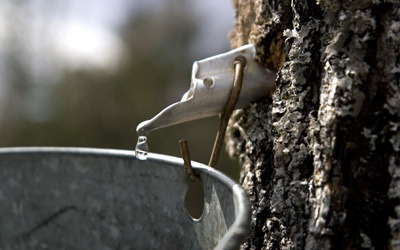 Maple producers will demonstrate how to make syrup and other pure maple products. Whether it’s simply boiling the sap over an open fire or running it through highly scientific equipment or heating and stirring it into delicious sugars and creams. 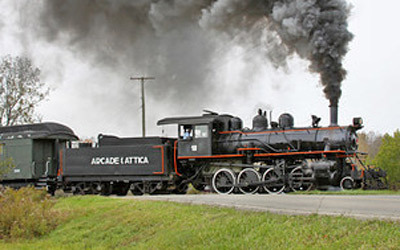 The Arcade & Attica Railroad began its existence as a handful of incomplete tracks, proceeding in stops and starts through the Allegheny River valley. The company and its successors hardly imagined that the little railroad would weather track washouts, bankruptcies, and even made it through the Great Depression without laying off a single employee. These days, trains launch from historical Arcade Station, which is a small museum of American railroad history. A restored steam engine idles out front, waiting to pull up to 382 passengers through countryside largely unchanged since the 1880s. In addition to stunning views, excursions provide photo opportunities with the locomotive and the chance to enthusiastically wear striped overalls in public. The Seneca Nation of Indians operates two casinos in the western part of the state. 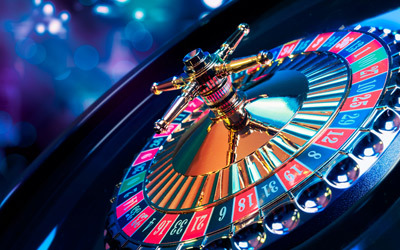 Seneca Niagara Casino and Hotel has slots, table games, keno and 16 tables of poker action. Downtown Buffalo’s Seneca Buffalo Creek Casino has slot machines and 16 table games. Batavia Downs Casino located between Rochester and Buffalo, has 640 slot machines and one restaurant that’s open year-round. The Hamburg Casino at the Fairgrounds, 13 miles south of Buffalo, features 940 slot machines on a 55,000-square-foot gaming floor.